Artists have been inspired by Appledore Island’s remote and beautiful landscape since the nineteenth century. The natural world of Appledore has been a draw and muse for many artists. 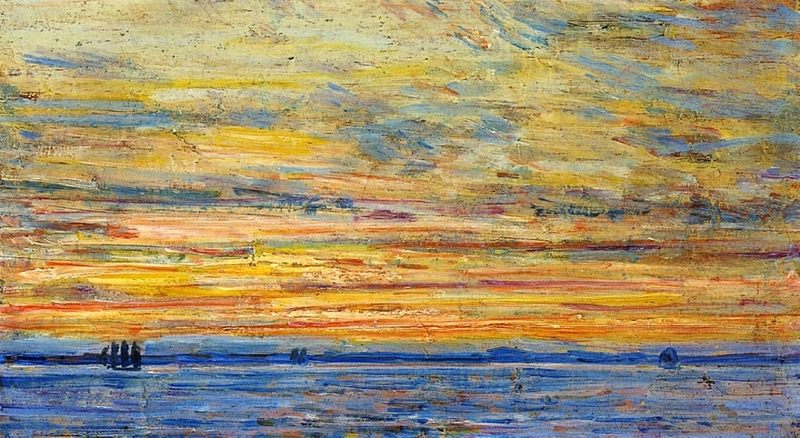 Childe Hassam, a frequent visitor to Appledore Island, said that "art is the impression that nature makes upon the eye." Today, at Shoals Marine Laboratory (SML), students and scientists come to study this natural landscape once again. This shared passion for keen observation and interpretation of nature creates a logical collaboration between artists and scientists. To facilitate this partnership, SML has created the Shoals Artist-in-Residence (Shoals AIR) program. 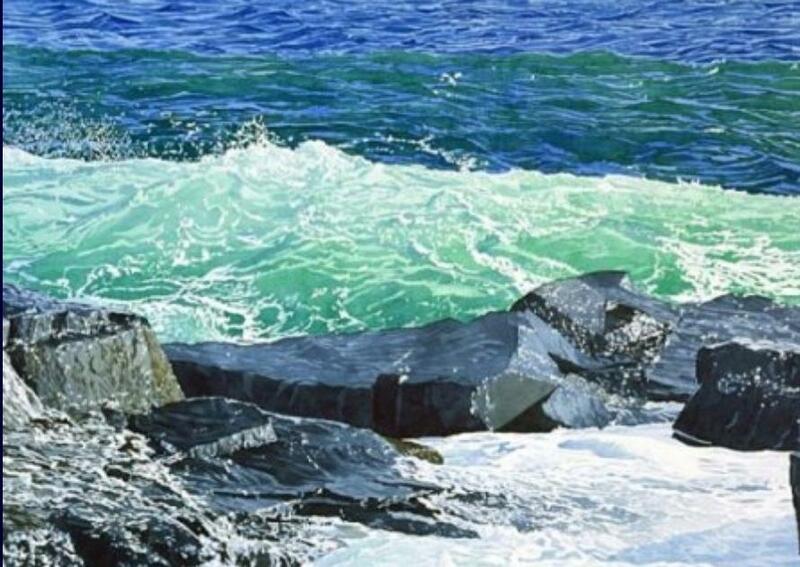 Shoals AIR offers artists the opportunity to pursue their work free of the distractions of everyday life, surrounded by Appledore Island’s inspiring landscape. The 5-6 selected artists reside on the island one at a time for 2-3 concurrent weeks over the period from May through August. Artists blend personal creative time with art programming for students participating in SML academic courses. The SML academic course faculty and the Shoals AIR artists work together on the exact details of art programming before their island arrival. Artists interact with up to four courses per week and typically spend one hour per course in an art activity (thus, the opportunity of student interaction is ~4 hours per week). We have found that these collaborations spark an inspiration for both the artist and students. Our specific goal is to cultivate and develop science students' observational skills in order to foster deep inquisitiveness and creativity in the process of scientific inquiry. The student interaction can be as simple as a drawing lesson, but artists are encouraged to be more abstract to push students out of their comfort zones so they have the opportunity to see ecology through a very different lense than they are acustomed. Artists are immersed into the scientific community and research activities that will deepen their understanding of the natural world, spark original ideas, forge collaborations, and encourage exploration of methods to engage non-artists in the artistic process. Housing is included in the program. You will have your own room and a shared bath. All meals are included in the program. Food allergies and special needs can be accommodated. Work space will be determined with each artist to best fit program, artist, and other needs. Transportation from Portsmouth, NH to Appledore Island are included in the program. Transportation to the dock in Portsmouth is not included. More information about travel can be found here. Artists are welcome to attend classes and interact with researchers. Introductions will be made by SML staff. Exact dates to be worked out with selected artists. One artist is in residence at a time so flexibility regarding timing is greatly appreciated. Two week residencies are preferred and typically run from a sunday to a sunday. Visual and written arts are encouraged. 1 page statement about what you hope to accomplish artistically during the Shoals AIR program. Projects that take advantage of the unique aspects of the community of scientists, lab resources, and the lab's setting are preferred. Description of your teaching experience. For Visual Artists, send 4 different digital images in JPG, PDF, or Powerpoint (Powerpoint preferred). File size not to exceed 3MB. For all other mediums: An appropriate sample of your recent work (e.g., a brief manuscript excerpt, short story, article, poetry, etc. - maximum of six pages). We choose 5-6 AIR artists each season. The application period for summer 2019 will close at 11:59pm on April 1, 2019. Decisions will be made by early May 2019. This program is made possible by the generous support of Morgan and Tara Rutman. ​Alastair Dacey’s formal training began at the Rhode Island School of Design. He then attended The Ingbretson Studios in New Hampshire, studying closely with Boston School master Paul Ingbrestson for over four years. To focus more closely on the human face and form, Mr. Dacey then went to Florence, Italy to study at the Cecil Studios. 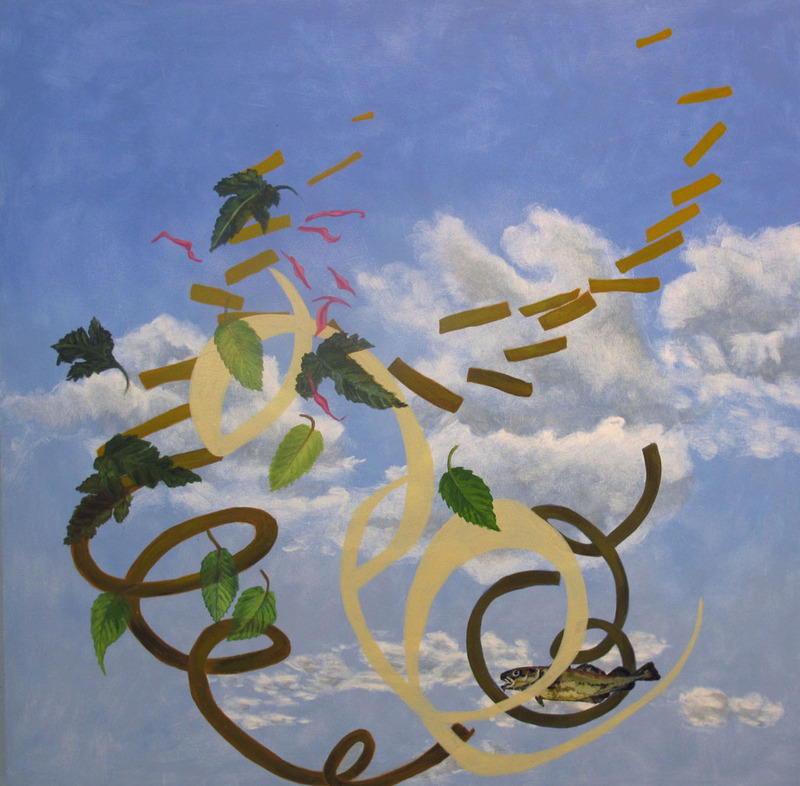 Mr. Dacey’s work as a professional has led him to open studios in Vermont, New York, Boston and San Antonio and most recently move to Portsmouth, NH. Read about Janis' experiences as a 2016 Artist-in-Residence here! "My paintings and drawings are a response to natural forces and phenomenon. 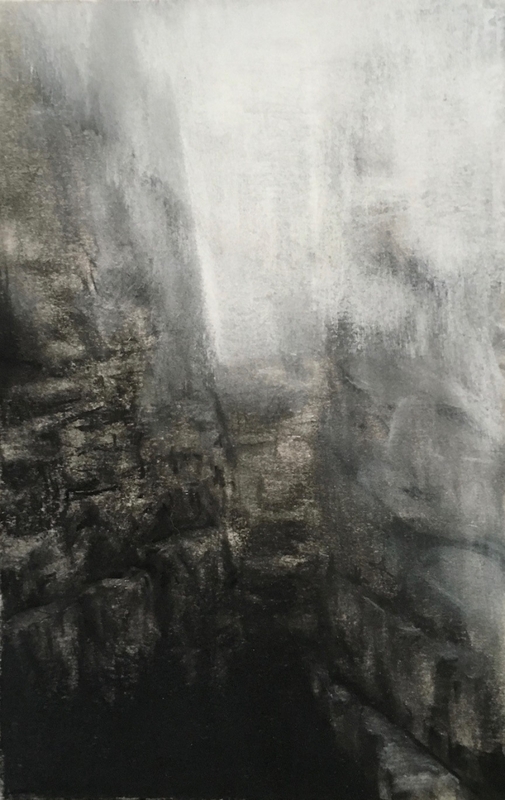 They are an exploration into the narrow, quiet spaces we find through more ephemeral and nonverbal experiences. The works are composites of personal experiences combined in a nonlinear way. They function like dreams in that they combine these images in seemingly random ways. “Composite, Cod + Clouds” started as a sketch at Shoals Marine Lab. The use of the Cod was the result of a lecture on fisheries. The endless sky and sea created the clouds and the sense of things flying was the result of the constant air currents and wind. The painting is 24” x 24”, oil on wood panel. In order to understand the needs of the classes I felt it important to imbed myself into the various courses by sitting in on lectures and talking extensively with faculty. I tried to understand what their students were looking at in lectures (content and imagery) and how I could facilitate bringing together a better absorption of all the information and experiences of their stay at Shoals Marine Laboratory. My time at SML has given me access to working with banding of birds and talking with the ornithology students, working with the marine mammal students and sustainable fisheries. Some classes utilized drawing exercises I devised, other classes were about looking at color, design, patterns and how we remember information. In another class I had the students design emojis to create a narrative of their total experience on the island. Most of my time as an artist in residence was about being a facilitator between what they do, remember and how they see. My own work as a painter was secondary to their experience. I used my free time to make quick watercolor studies, photographs and keep a journal of images and ideas. I am a Professor of Fine Arts at the Corcoran College of Art/George Washington University in Washington, DC. I have spent much time on the coast of Maine including being an artist in residence at Acadia National Park. I have had the opportunity to be an artist in residence at Shoals in 2015 and 2016." Christopher Volpe is an artist, teacher, and writer whose work tends toward a sense of the poetic. Although academically trained as a poet, he discovered painting while teaching art history. He is a regular contributor to the magazine Art New England, and he has taught art history at the New Hampshire Institute of Art, Chester College of New England, and Franklin Pierce University.